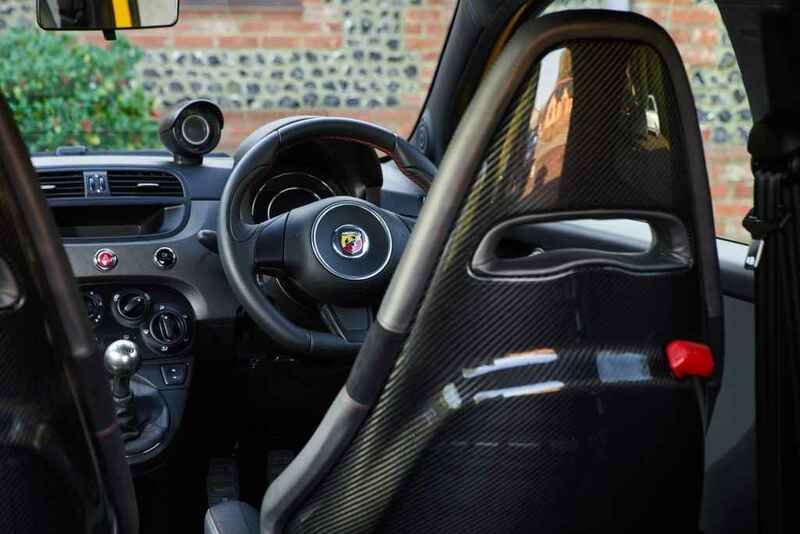 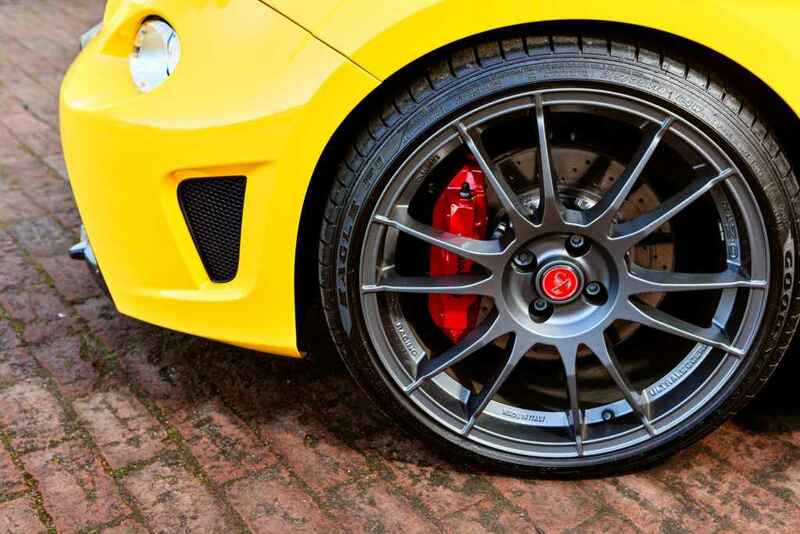 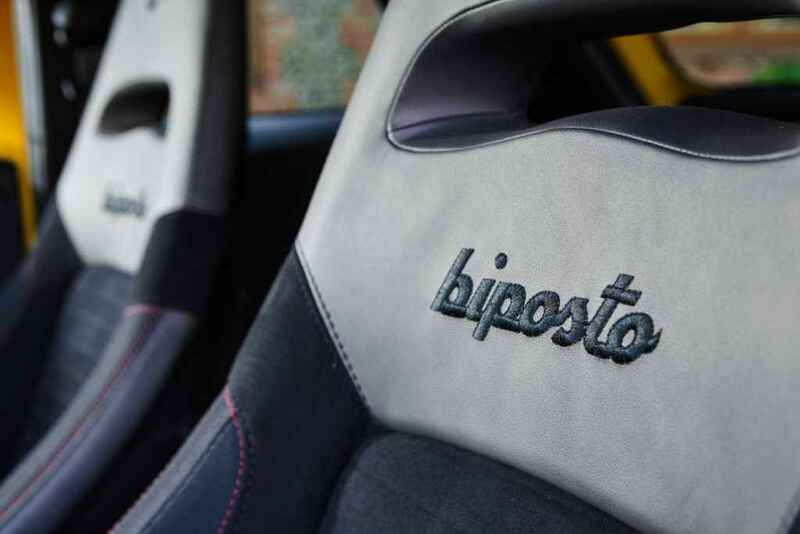 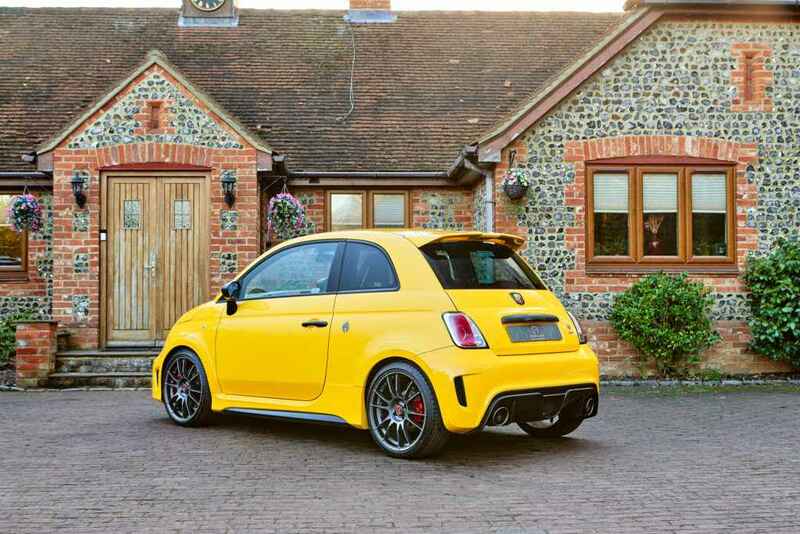 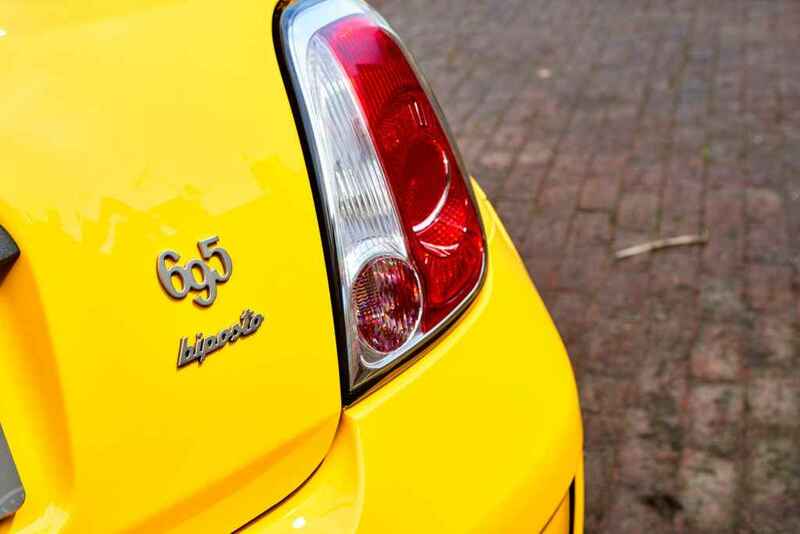 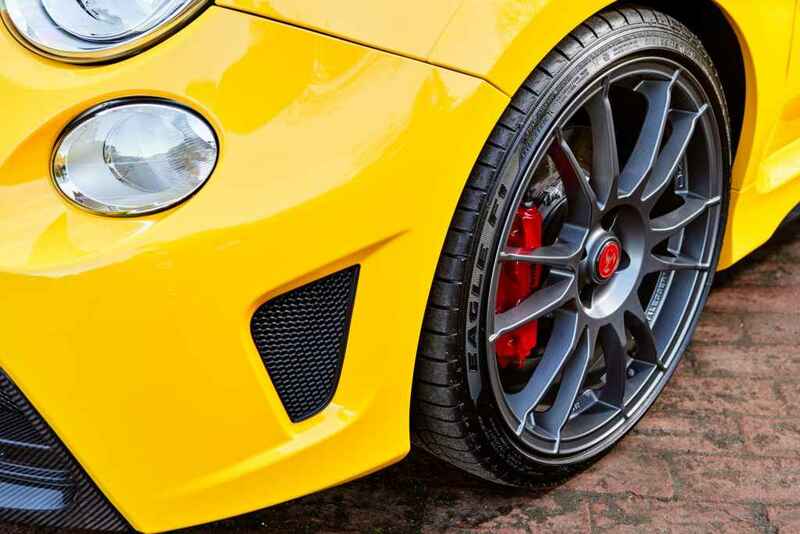 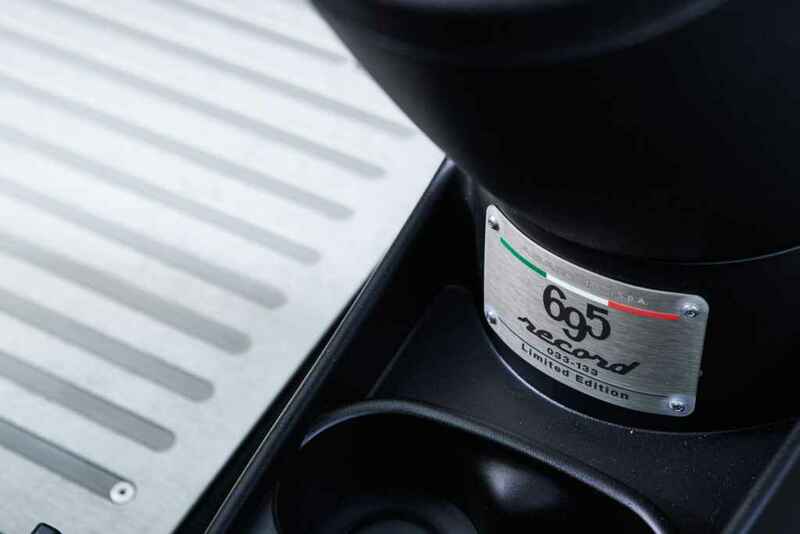 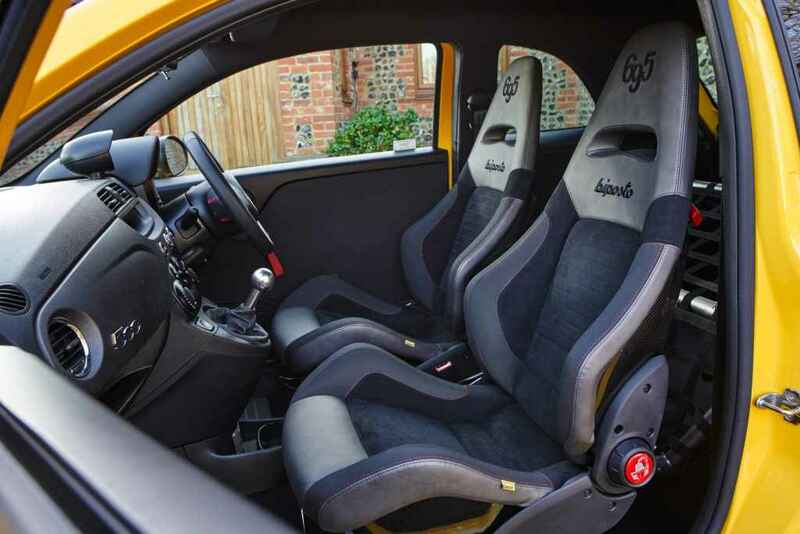 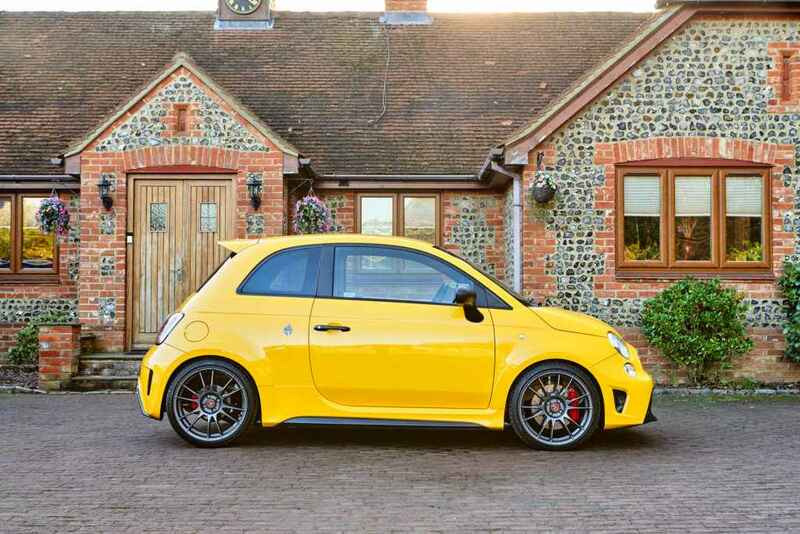 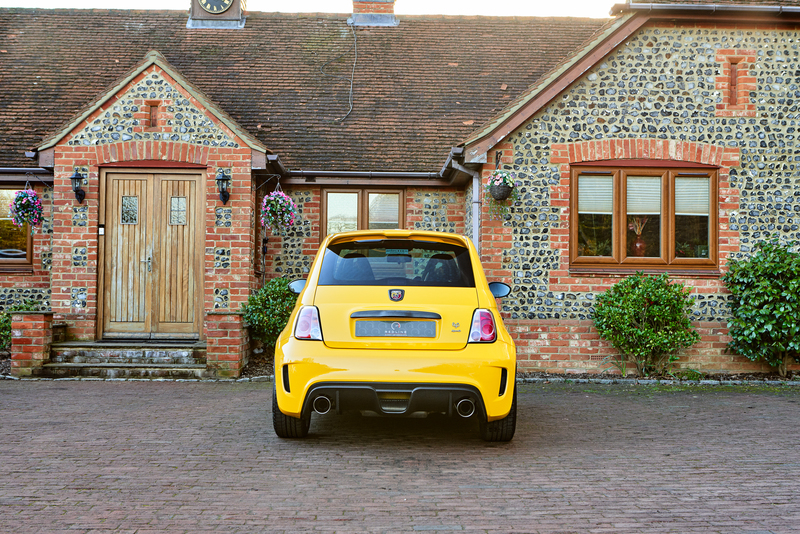 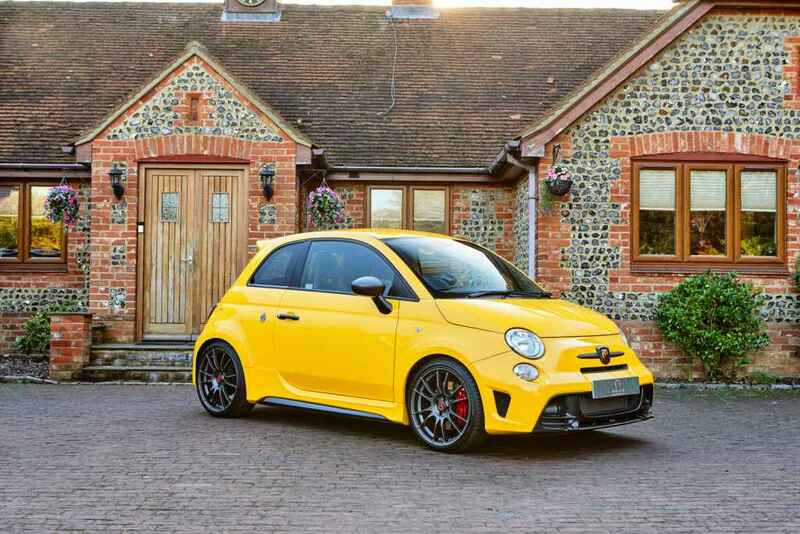 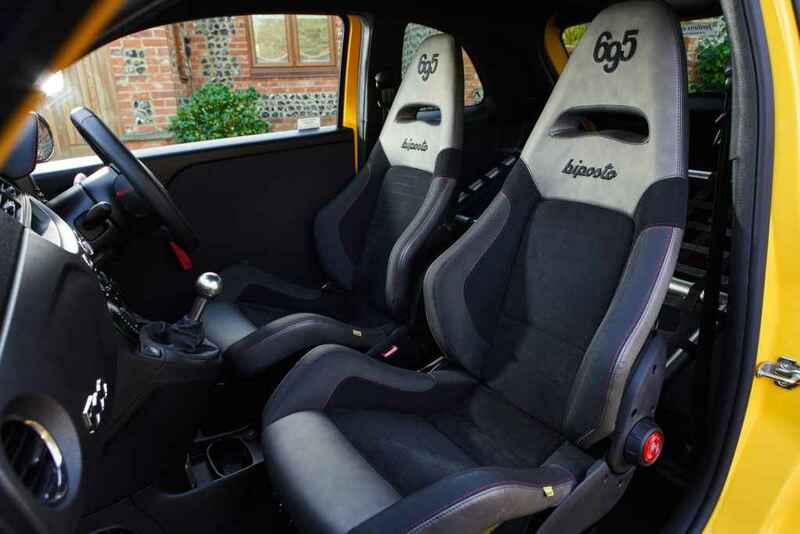 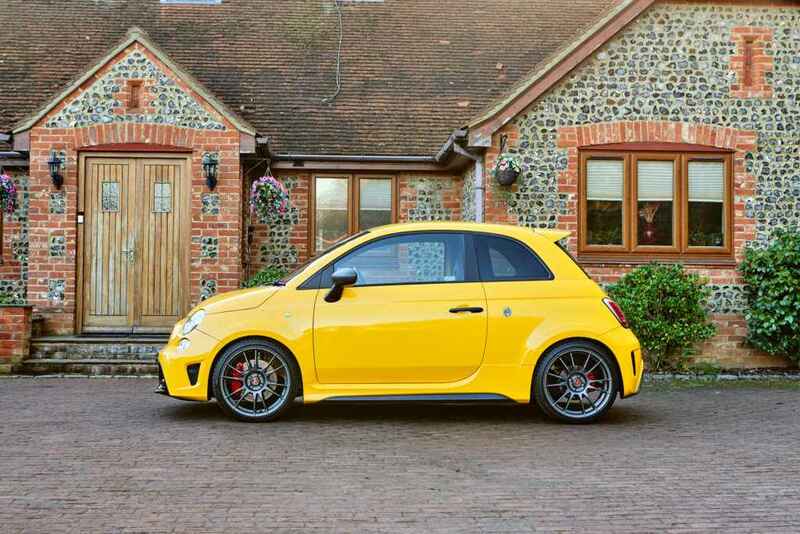 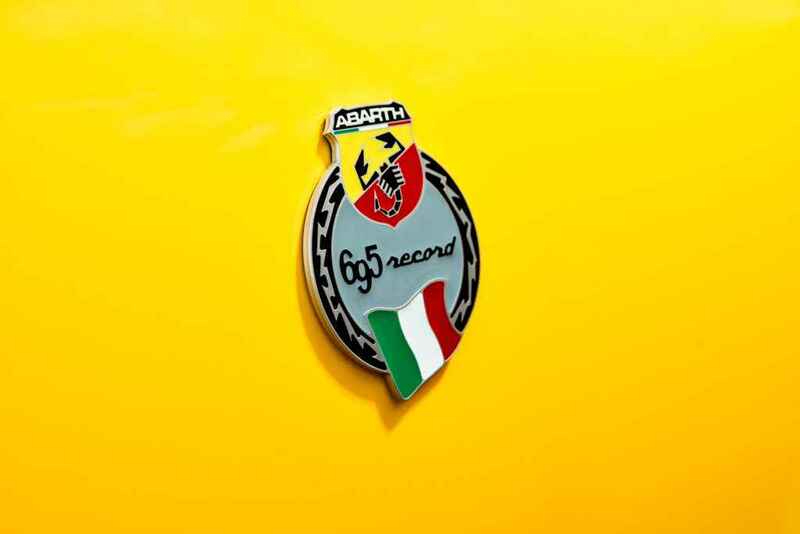 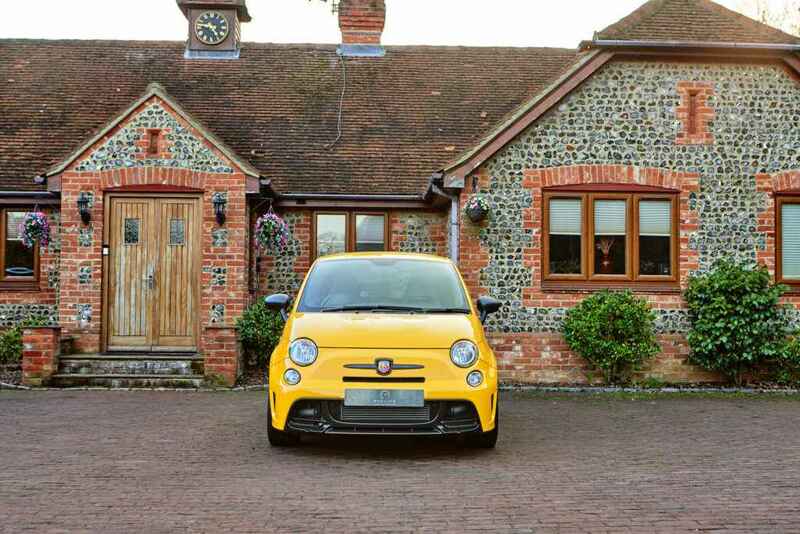 Abarth 695 Biposto Record offered for sale by Redline Engineering UK. 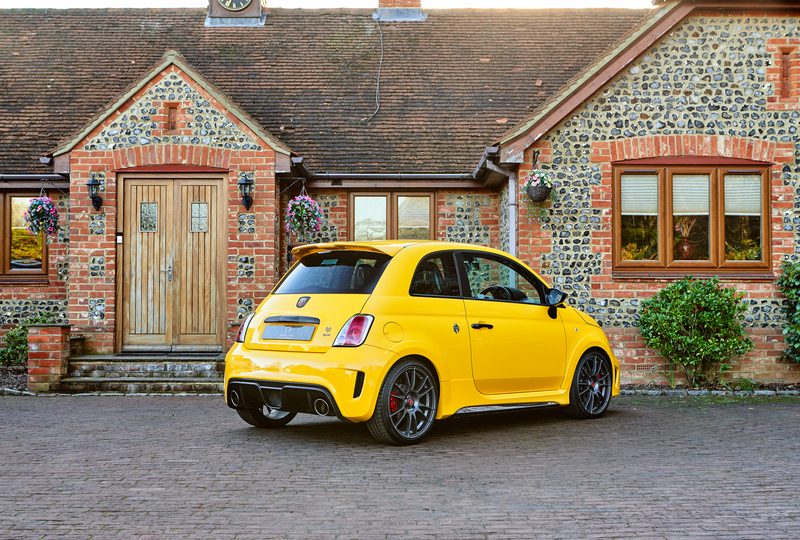 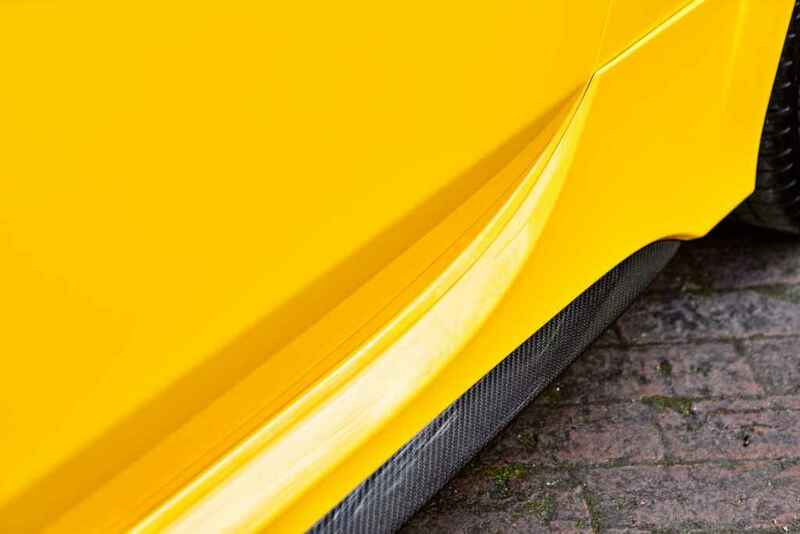 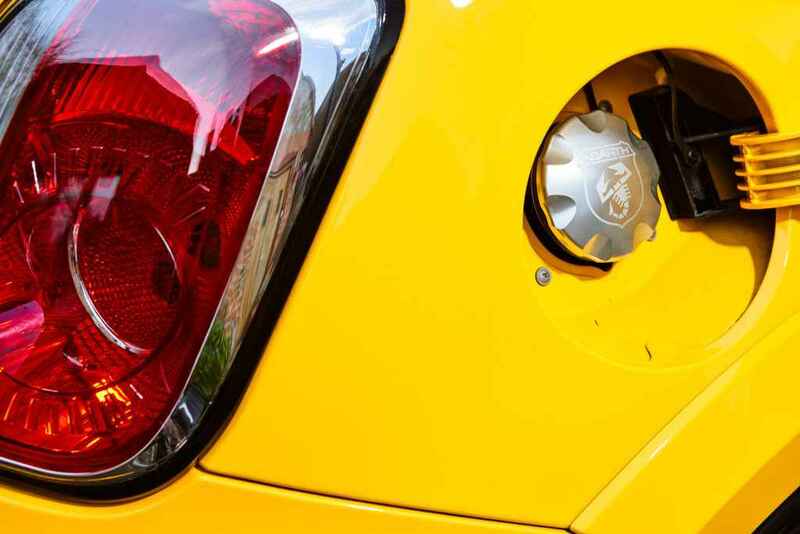 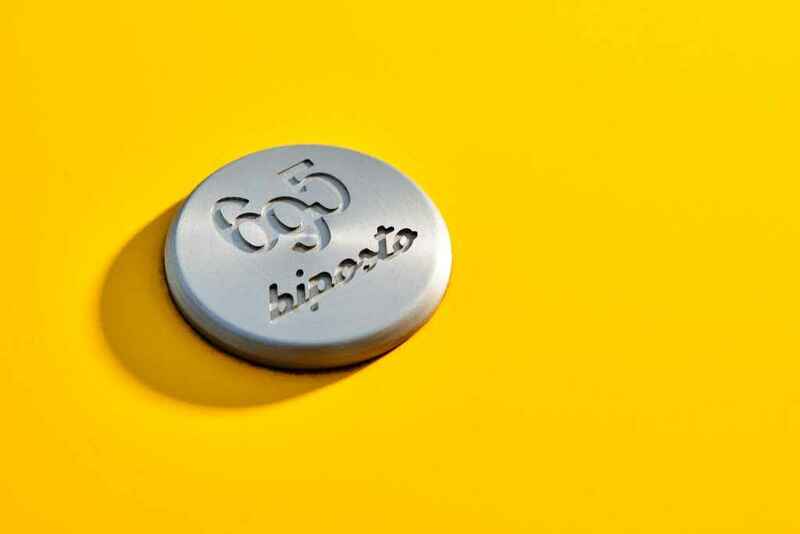 Finished in Modena Yellow with Black Alcantara interior, chassis number 33 – 133 of limited worldwide built. 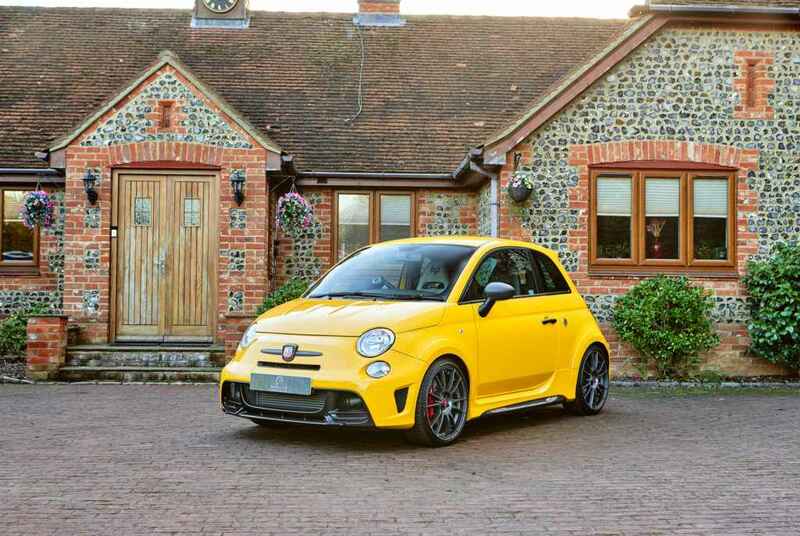 First registered March 2016 with only 2,445 miles, turbocharged 1.4 ltr engine 188 BHP and dry weight 997 kg, 0-62 mph 5.9 sec – top speed I haven’t been brave enough to find out! 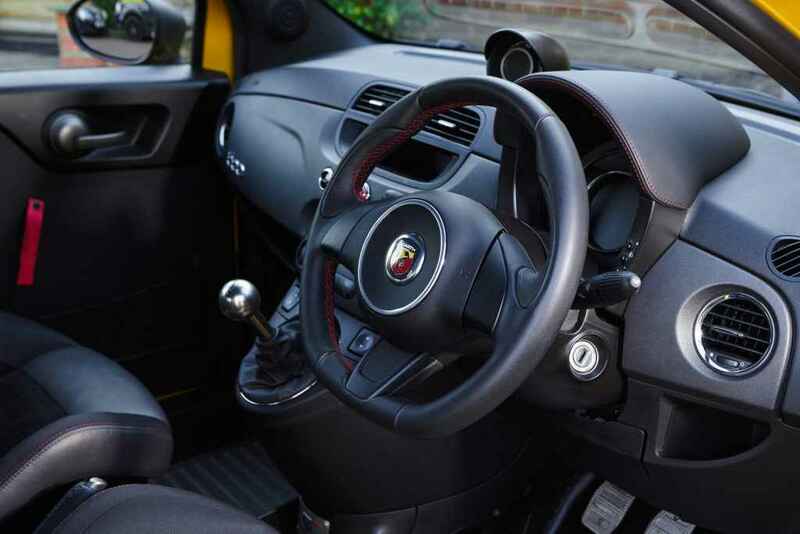 Present in immaculate condition both inside and out, minimalist interior and very much track focused. 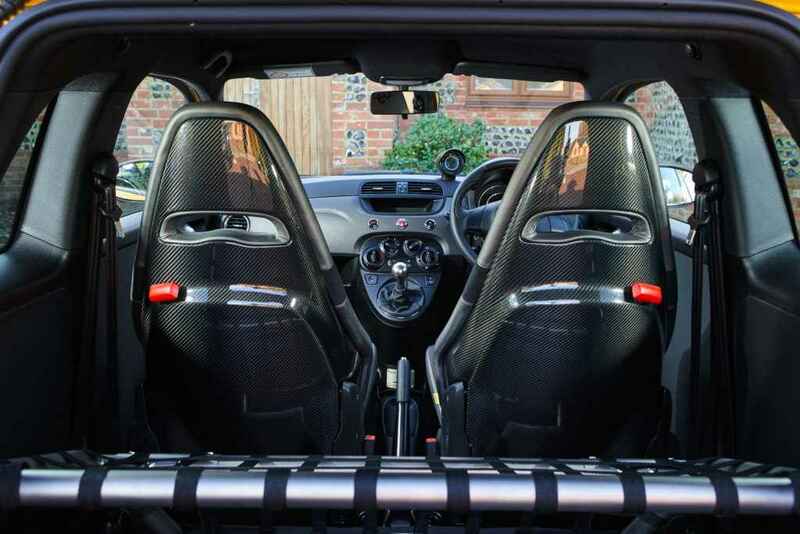 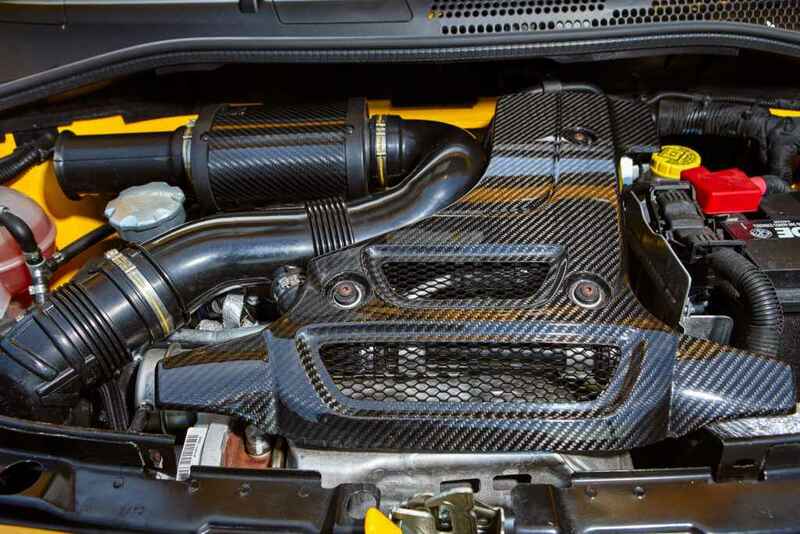 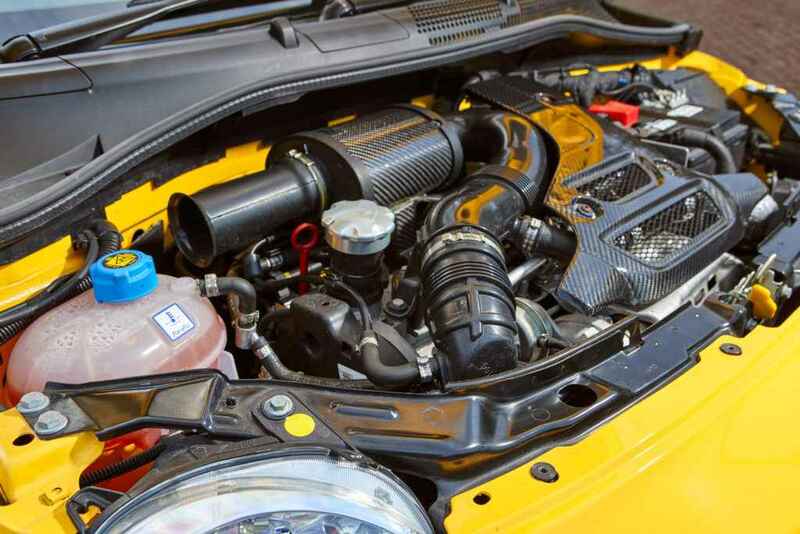 Lightweight door cards Sabelt carbonfibre shelled seats, titanium strut brace with cargo net, 5 manual gearbox. 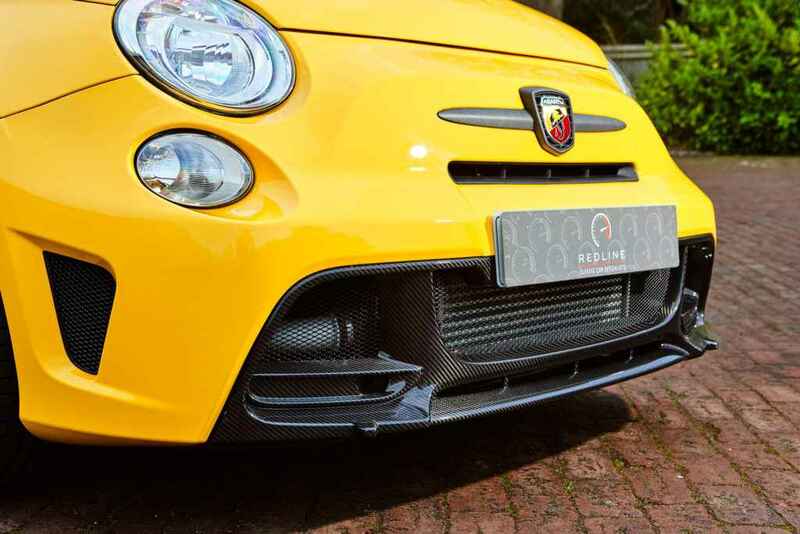 Carbonfibre panels fitted to front and rear bumpers side skirts, OZ wheel rims with Michelin tyres, Brembo front and rear brakes. 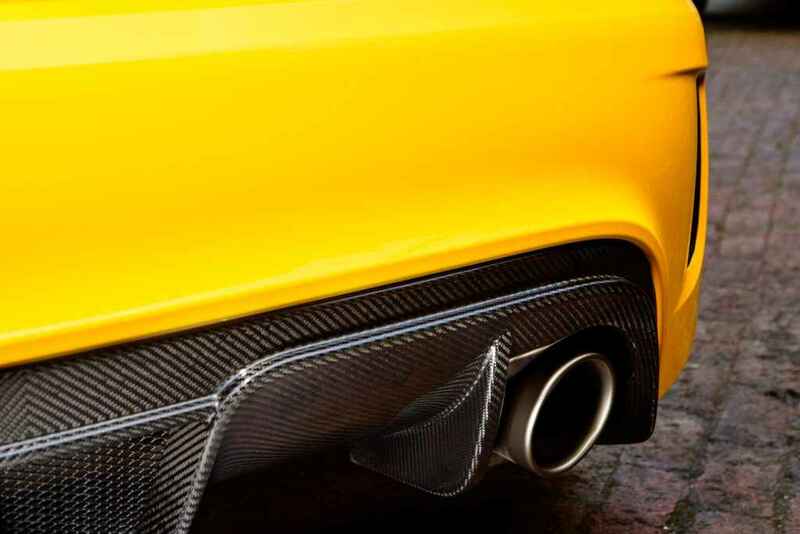 And exhaust from Akrapovic. 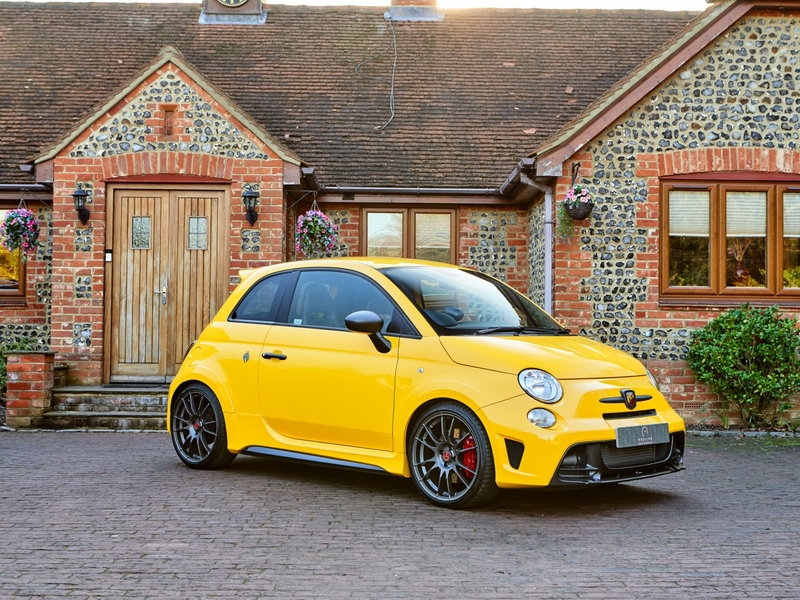 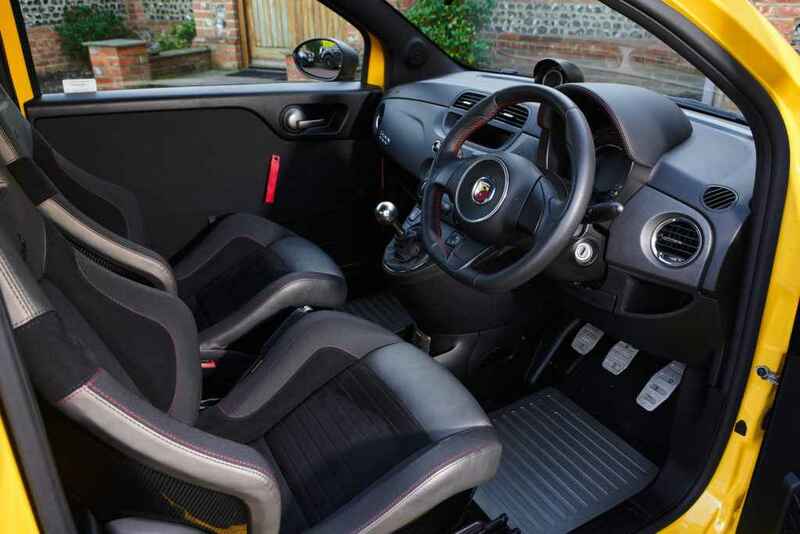 Abarth have delivered a very special car and potentially future collectable classic, start engine with raucous bark that resonates through exhaust, sounds fast even at standstill, fantastic fun to drive either on the road or track, for sure a future classic.